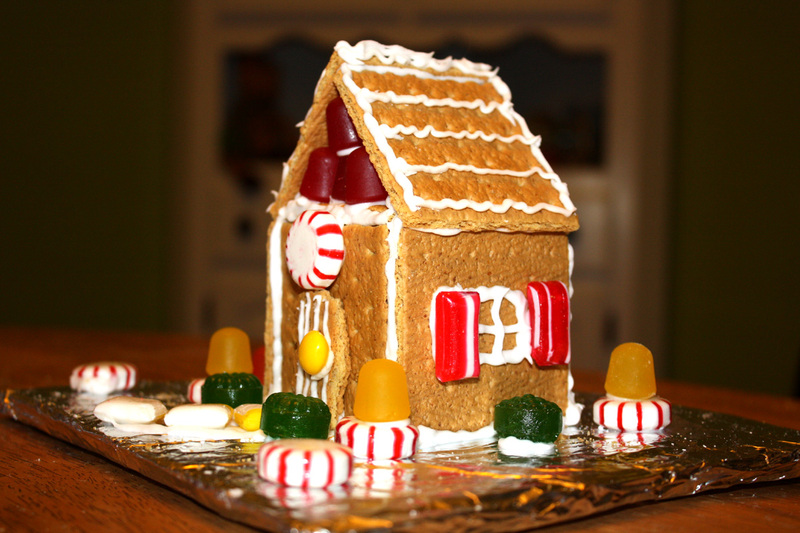 Last night at our craft club meeting we decided to treat our inner child to making gingerbread houses! We used some store bought graham crackers and candies and we were off. I don't think I've made a gingerbread house since elementary school when we used our left over milk cartons for a base. This time one of the girls whipped up some super strength frosting that cemented our houses together.